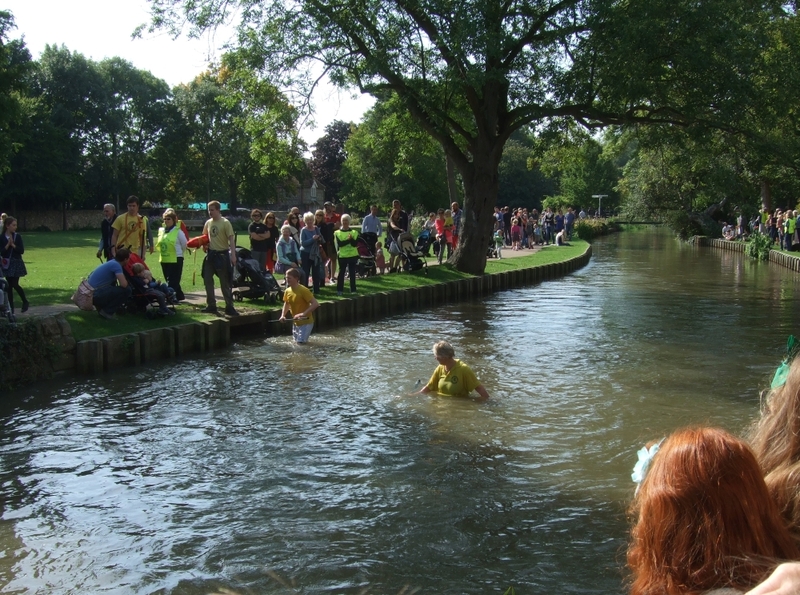 The 17th Annual Duck Race organised each year by the Rotary Club of Canterbury took place on Sunday 20th September in the Westgate Gardens, Canterbury. It had been postponed from its original date in July due to low water levels and excessive weed, which the Council had now cleared. After a very wet start the weather brightened and the rain held off. 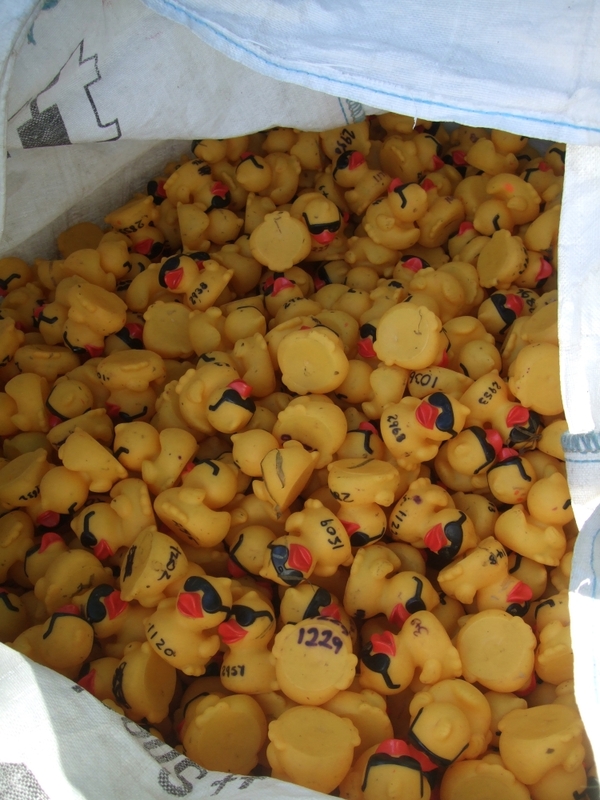 Several huge bags, each filled with over 1,000 numbered plastic ducks (on the right), were simultaneously emptied over the Starting Line - the bridge at Toddler's Cove. Each duck in the race was sponsored by a named individual and there were no un-sponsored birds taking part. How deep did you say it was? 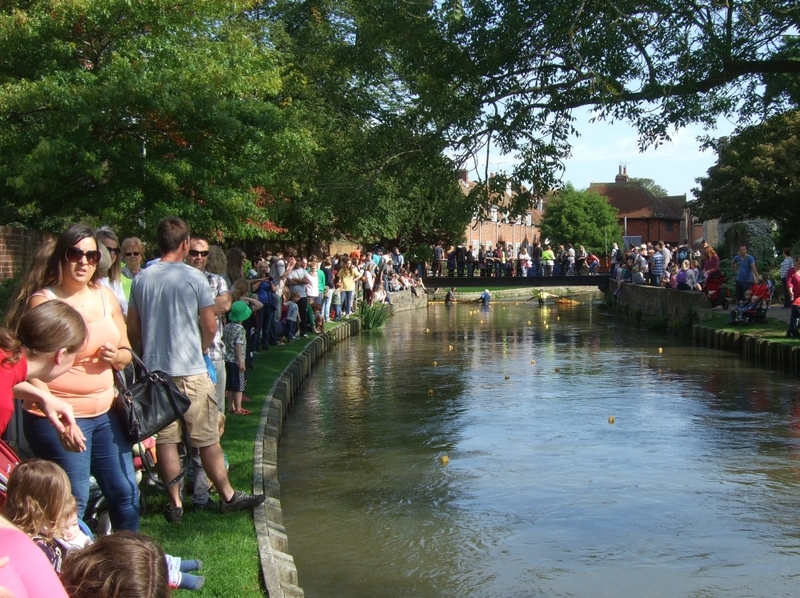 Rotarians had been busy over the previous weeks taking every possible opportunity in the Centre of Canterbury and in local supermarkets to find sponsors for the ducks - so that on the day, over 3,500 bright yellow ducks were thrown into the swift-flowing waters of the River Stour. A sight to be seen – as each duck fought against the currents and the weeds to get to the front along the quarter-mile stretch. A lot of the fun of the day was in watching the very smoothly-run operation of herding up the stragglers and those who had “retired” to the river banks as well as in scooping up all those who had eventually made it to the finishing line. 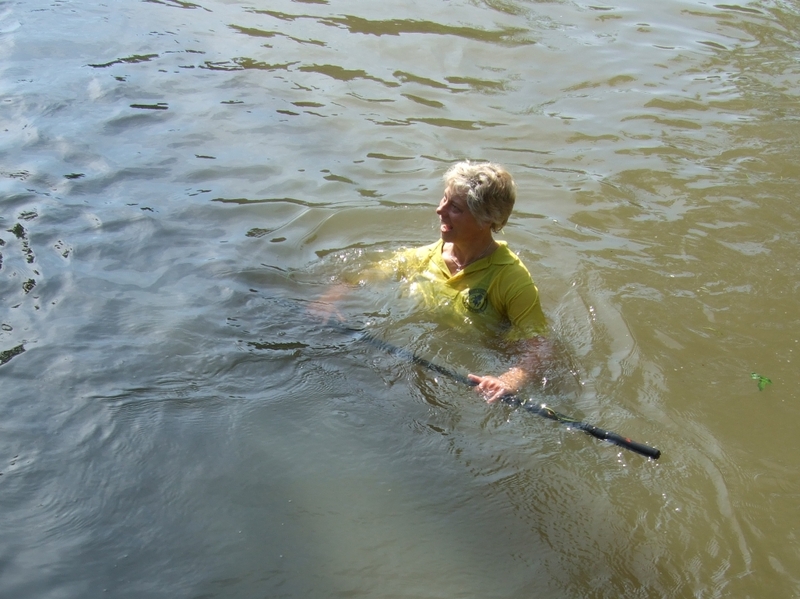 It was evident that many a Canterbury Rotarian simply enjoyed messing about ‘in’ the river! There were two categories of racers – those sponsored by individuals at a cost of £1 and corporate ducks sponsored by local businesses @ £25. The eventual winning ducks won these prizes for their lucky sponsors: First Prize £250: duck no. 3255 - Mr & Mrs Richards. Second Prize £100: duck no. 1031 - James Pomeroy. Third Prize £50: duck no. 827 - Dave Gray. The corporate duck won its sponsor six bottles of Champagne. Many thanks to our generous sponsors: Kent Reliance Building Society. Many thanks also to East Kent School of Life Saving - EKSLS for their valuable assistance. 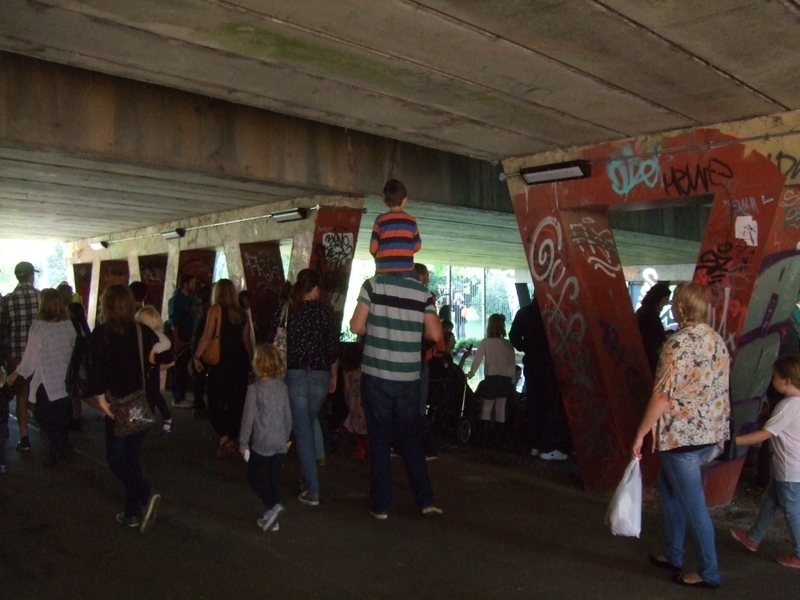 And finally, thanks to everybody for taking part and turning-up to watch the spectacle.